John Kenneth Muir's Reflections on Cult Movies and Classic TV: National Twilight Zone Day: "Death Ship"
During The Twilight Zone's fourth season in 1963, Rod Serling's trademark anthology was expanded from half-an-hour to an hour in length. 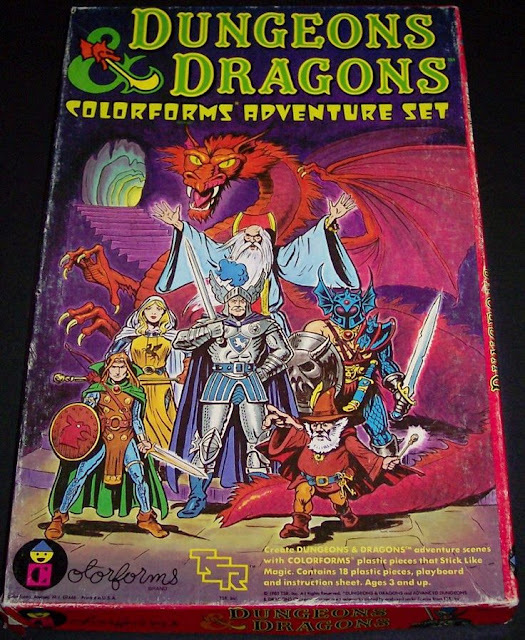 Most of the episodes produced during this span are not included in syndication packages or annual marathons (except for the Robert Duvall episode, "Miniature"), because they don't fit the half-hour time slot. For Twilight Zone's fifth and last season, the format was restored to the more famous 30-minute period, and many of these hour-long installments faded to undeserved obscurity. And the general meme on the fourth season, on the hour-long shows, is that somehow the experiment failed. That the episodes are not as good, or as powerfully wrought as the shorter installments. The thinking goes that at a half-hour, Serling sets up the premise, expands it just enough, and then delivers the closing whammy or twist before you grow fatigued with the narrative. It's a perfect thirty-minute structure. By contrast, goes the conventional wisdom, at an hour length, you get mired in the story-line and sort of wander off the point. I haven't watched all of the fourth season shows recently, but based on my viewing of "Death Ship," I'm not sure that the latter argument holds much water. Written by Richard Matheson and directed by Don Medford, "Death Ship" is the sort of creepy sci-fi story I'm almost predisposed to love. Why? Well, as much as I love, adore, revere, and honor Star Trek and what it has accomplished over the long years, I prefer to view the realm of outer space not as a giant ocean separating countries, where starships stay in touch with Earth by subspace radio and serve a sort of cosmic United Nations, but as something more...enigmatic. Again, this is merely my personal preference, but I especially enjoy the concept of outer space as terrain of mystery, awe, and terror...a realm that we -- even as intelligent and technologically-advanced human beings -- are not quite able to understand at this point. Solaris, 2001: A Space Odyssey, Space:1999 and yes, Richard Matheson's "Death Ship" all seem to view outer space in these fascinating terms. I think space adventuring is great in any form, but especially so when the mysteries unlocked at the end of the universe have some bearing on our understanding of ourselves and the very nature of existence. I'm not talking about morality (Star Trek was unmatched in focusing on the morality of our species), but the very core ideas of "what are we?" "what is existence?" and so forth. And those are the sorts of interrogatives raised in "Death Ship." As the story begins, it is the far-flung year of 1997, and three astronauts from the rocket bureau man the exploratory vessel E-89 as it seeks out habitable planets for colonization. 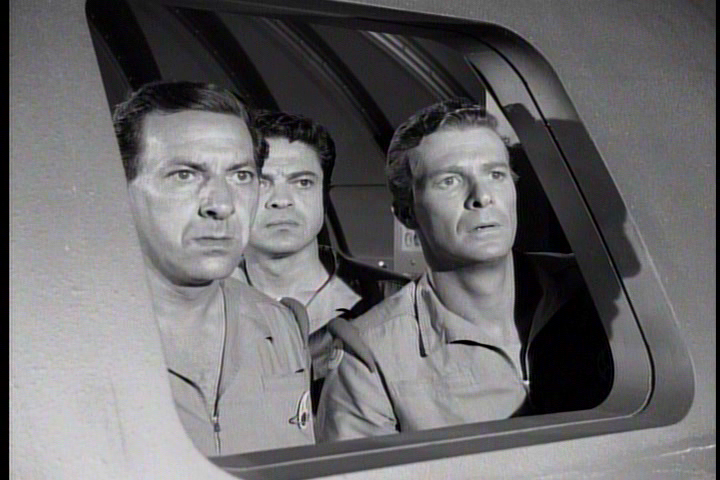 Captain Ross (Jack Klugman), Lt. Mason (Ross Martin) and Lt. Carter (Frederick Beir) observe the surface of one distant planet, and spot something odd: something metallic glittering in the jungle far below them. Excited at the prospect of man's first alien contact, they land E-89 (the spaceship from Forbidden Planet  redressed...) and discover that the "glittering" on their scope is actually something more frightening, the wreckage of an Earth spaceship. The astronauts head out to the ruined ship and find that it is of the same class and construction as their own vessel, E-89. When they enter the wrecked craft, they discover the bodies of the three-person, human crew. Disturbingly the corpses are actually...their own. The crashed ship is actually E-89 and somehow it crashed on the surface of this alien world, and Ross, Mason and Carter were all killed during the event. 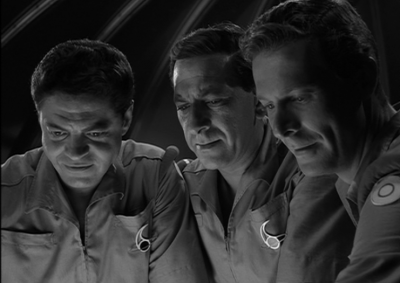 Now, thanks to the auspices of the Twilight Zone, the astronauts have caught up with their grim fate. At first, the thoughtful and determined Captain Ross thinks that they have "circumnavigated" time and somehow arrived on the planet in their own near future, perhaps as the result of a time warp. He makes an interesting decision. If their future involves a crash, he suggests, then he won't order the crew to launch. Ever. He decides to stay on the planet for an unlimited duration instead, because he knows he will eventually discover a "logical" explanation for what they've found on the surface. He just has to puzzle it through. "Eventually, we'll find an answer," he suggests. But then another odd thing occurs. The longer the crew remains on the strange planet with their corpses aboard that duplicate ship, the more the crew begins to "fall apart," hallucinating a very different existence. Lt. Carter imagines he is home and visits his house on the very day of his funeral. He finds his wife's mourning attire laid out across his bed, next to a telegram from the rocket bureau announcing his demise. Lt. Mason also experiences what might be a delusion. Outside, on the surface of the planet, he encounters his daughter and wife. They are happily sharing a picnic lunch lakeside, and Mason feels compelled to join them. In short order, however, he is torn out of this pleasant reality by the committed and stubborn Captain Ross, who reminds him that his wife and daughter were killed in a car accident long, long ago. Captain Ross rallies the troops. He believes he has discovered the logical explanation (because everything has a logical explanation, he says). Everything that has happened on the mysterious planet is an alien trick, he tells his men; a ruse to keep humans from colonizing there. It's mind control...illusion. Ross is so convincing in his "logical" explanation of the events on the planet that Mason and Carter believe him. The three men recommit to their mission, with great trepidation lift off, and head once more for the stars. Miraculously, the spaceship does not crash on ascent, as the crew feared it would. E-89 makes orbit successfully. The three men have escaped their fate, or so it seems. The trap below cannot snare them. But then the determined and intellectual Captain Ross orders they return to the planet surface to collect specimens and complete their assignment. After all, he says to his men, he understands the alien trick now, and won't be fooled again. ...Well, to tell you any more of "Death Ship" would be to ruin the denouement of one of the truly great (and perhaps not very well-known) Twilight Zone episodes. What occurs finally on that distant planet, and the explanation to the riddle -- the very thing that renders E-89 "a latter day flying dutchman" -- has nothing whatsoever to do with time warps or alien tricks. Instead, as you may have guessed at this point, the solution to the mystery grows out of the characters, and in some aspect, the so-called "cult of personality," the willingness of some men to follow leaders...because they want to believe something pleasant so badly. "Death Ship" is a great story because it arrives at the shocking ending sideways. 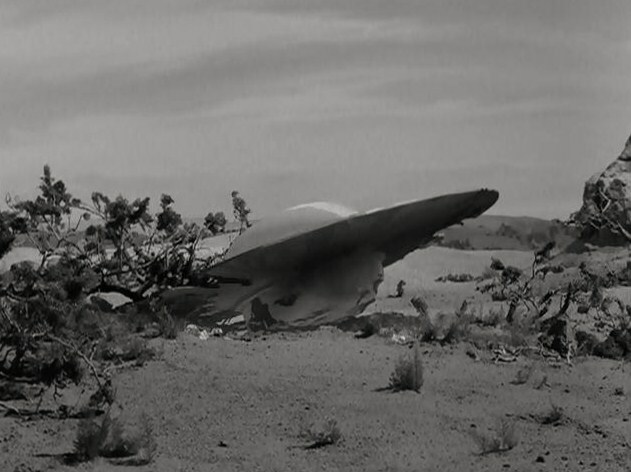 The episode features all the trappings of futuristic science fiction drama, with discussions of time travel and alien life, but as is so often the case on The Twilight Zone (and in the work of Richard Matheson) the resolution of the enigma involves the very nature of man; the metaphysical not the technological. In crafting a tale of a protagonist and captain who sees what he wants to see, and the men who follow him in that vision, Matheson's "Death Ship" takes the mysteries of outer space and links them right back to the essential nature of humanity, right here on Earth. For awhile it looks like the story is about "fear," the "death fear" as one character describes it, but the tale actually involves the acceptance of the unacceptable in our lives...and in our deaths. As is typical for The Twilight Zone, "Death Ship" is presented in stark black-and-white and beautifully shot. There's one terrific, highly cinematic shot in which the camera prowls through a hole in the damaged vessel's wrecked exterior, and then scans the ruined command center, finally settling on the three corpses. There's some nice, unobtrusive use of split-screens and photographic doubles in another scene, and the performances are all intense and very good. Jack Klugman, in particular, does well in the role of the stubborn commander. One wouldn't automatically think of Klugman as astronaut timber, but he is intense and charismatic here. We pin our hopes on his character; just as his men do. It's startling a bit startling to recognize the fact that this series (despite "futuristic" dates like 1997...) and the works of Richard Matheson don't seem to age at all. They are -- truly -- as timeless as infinity. Frederick Beir's goofy performance almost sinks this ship-- but it's mightily buoyed by otherwise fine acting, solid writing and good visuals-- even the costumes, with their padded buck rodgers shoulder-wings are a nice touch. There's also an impressive miniature shot of Beir's home as he runs toward it-- a very modern, but utterly credible looking dwelling nestled into some trees and rocks. A nice touch that didn't NEED to be there, but someone took the time and effort to give it to us. The ending surprise-- not very surprising or even very sensical, but worthy. A story that really gets under my skin. Creepy and upsetting.